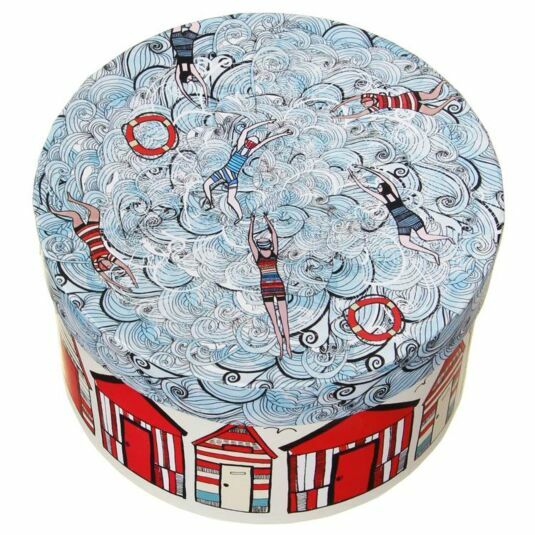 Beach huts, swimmers and rolling waves are the theme of this tale. 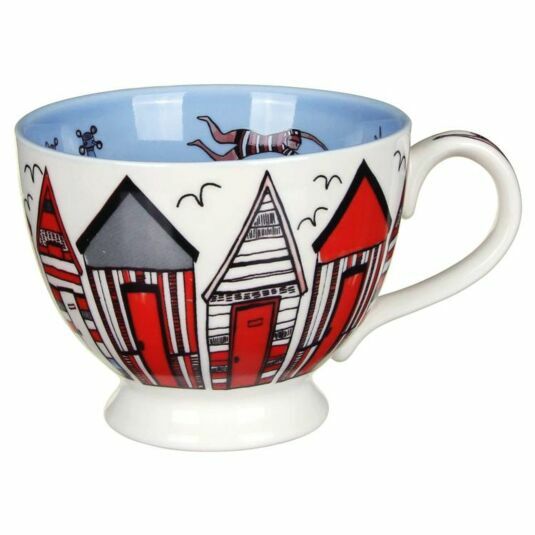 The teacup itself is adorned with seaside beach hut illustrations all the way around, drawn in a quirky style and coloured blue and red, and on the handle there is also a swimmer illustration. 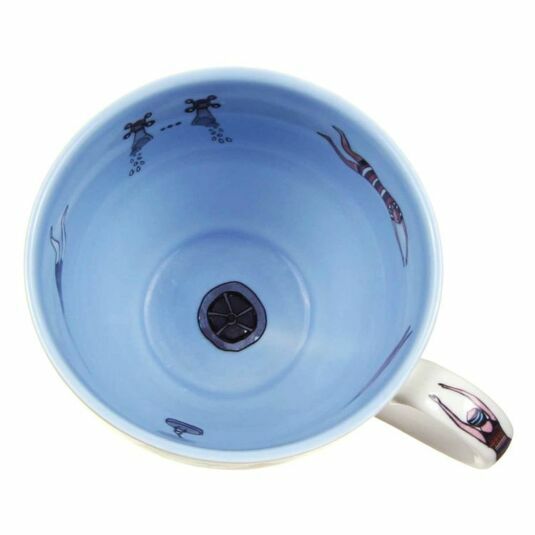 Inside the teacup is light blue in colour and the swimmer illustration repeats around the inside, finishing with a plug hole at the bottom of the cup. 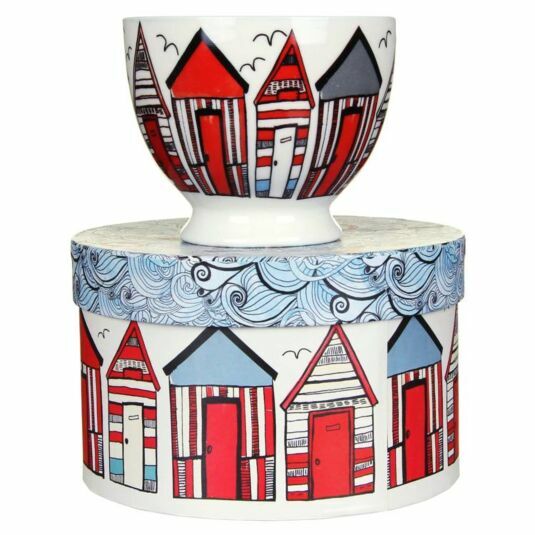 The cup is beautifully presented in a hatbox style gift box and would make a great gift for a beach lover, Mother's Day, birthday or new home gift. Teacup is microwave and dishwasher safe. 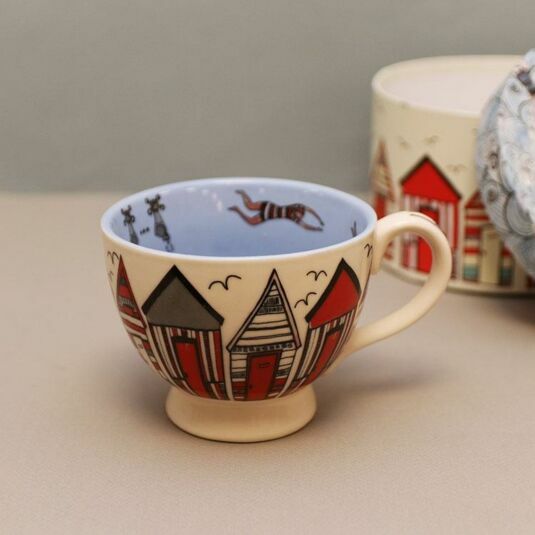 Tales in a Teacup by Disaster Designs is a lovely tea cup collection each telling their own story. 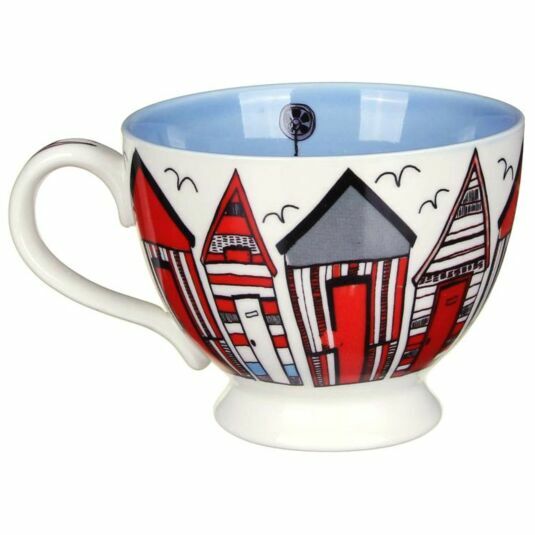 They make great gifts for tea lovers and coffee enthusiasts. 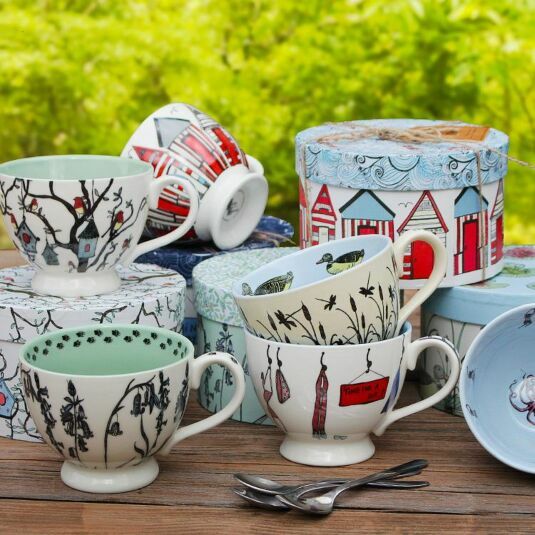 The Tales and Trails range is a delightful mix of woodland creatures and natural motifs. The overall colour scheme is pale cream and turquoise, enlivened by soft reds, blues and yellow. The images are hand drawn in pen and ink style, with a pale wash of colour. This is a lovely range, with a natural theme that compliments the seasons.